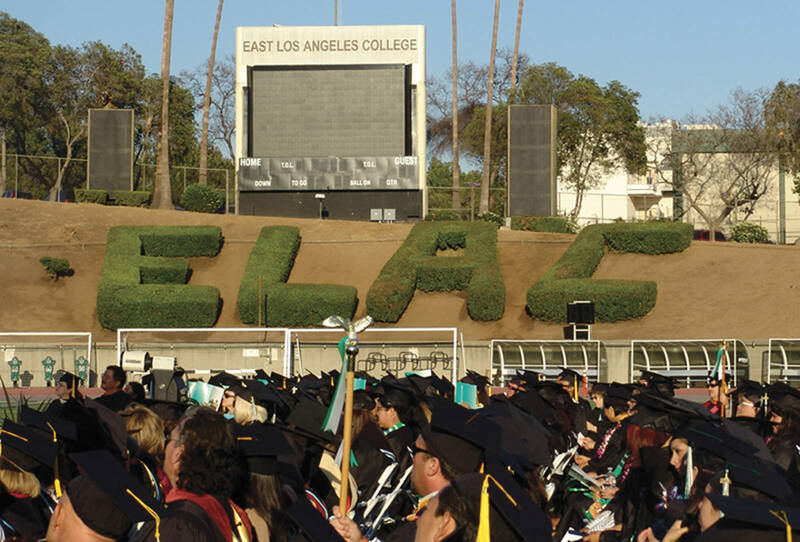 EAST LOS ANGELES COLLEGE (ELAC) is now in its 74th year of service, continuing its mission of transforming the lives of students in the eastern Los Angeles area through education and career opportunities. ELAC boasts an 83% retention rate and a 65% success rate and continues to increase the number of graduates and transfers to four-year universities each year. ELAC ranks #2 nationally out of the top 100 community coleges in the country for Hispanics by Hispanic Outlook on Education. Ranked #58 in the nation and #6 in California by Washington Monthly magazine’s 2018 “Best Two-Year Colleges for Adult Learners”. One of the largest Community Colleges in California with over 60,000 students enrolled annually and 2,171 Degrees, 1,481 Certificates, and 2,086 Skills Certificates awarded annually. ELAC has a 79.4% admit rate to the University of California and ranks 13th for transfer to the University of California. Newly opened a 95,000 square foot Mathematics and Science Complex and a 26,000 square foot Physics and Earth Sciences building hosting vibrant STEM programs, including a STEM cohort for incoming students, several National Science Foundation grants, and a math lab. Colleges (AMATYC) Math Competition, with one student in the top 20. ELAC’s Performing and Fine Arts Complex hosts state-of-the art facilities supporting student learning and excellence and for a second year in a row, ELAC was one of only three schools selected to present a production at the Kennedy Center American College Theater Festival, Region VIII in Hawaii. ELAC is home to the Vincent Price Art Museum making it one of the only community colleges to host a major art collection with over 10 exhibits per year. For every dollar you invest to get students in and through college, the state’s economy receives a $3 net return on investment. $1.6M is the average lifetime earnings of a graduate with an associate degree, $400,000 more than for a high school graduate. 70% of California nurses received their education at a Community College comparable to ELAC.